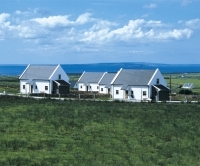 Doolin Holiday Homes are located just two miles from the centre of the picturesque County Clare village of Doolin. This is a prime rural seaside location with incredible scenery and an incredible array of local activities making it the ideal choice for your holiday break. 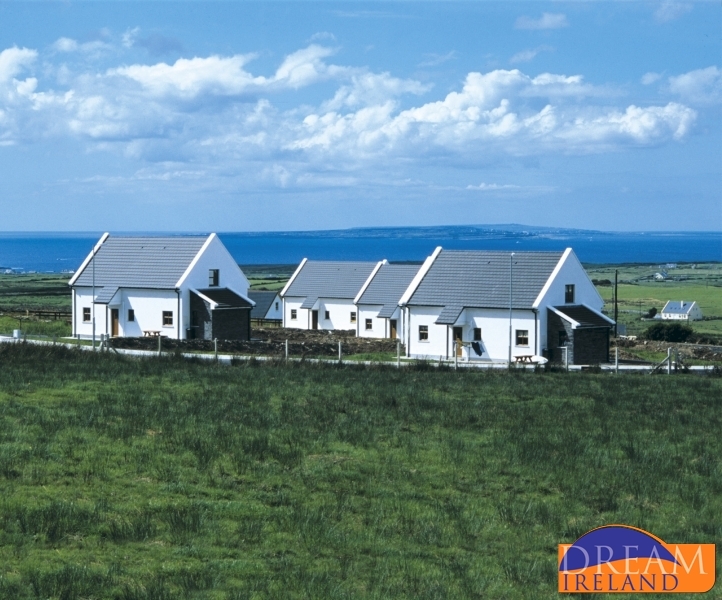 Doolin is a charming small seaside village on the northwest coast of Clare. 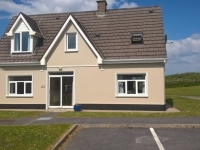 It is situated just 8km from the Cliffs of Moher, 6 km from the famous Spa Town of Lisdoonvarna and just a fifteen minute drive from the town of Lahinch. 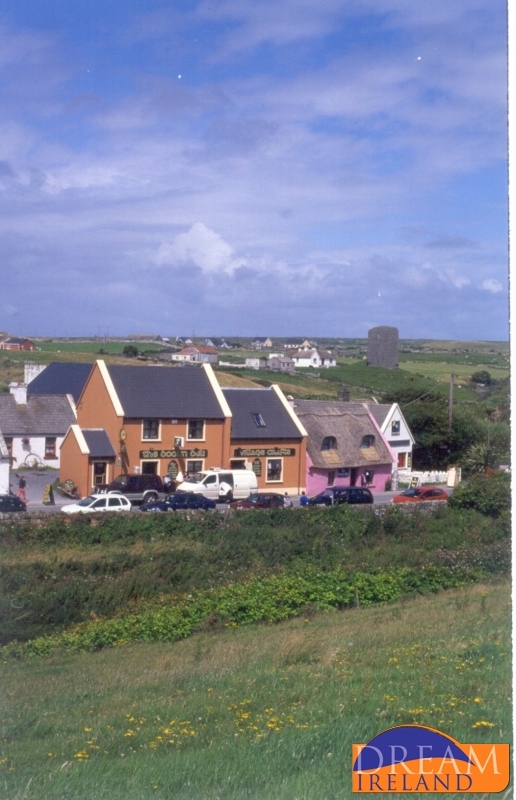 Traditionally a small fishing village, Doolin is now better known for its traditional music. 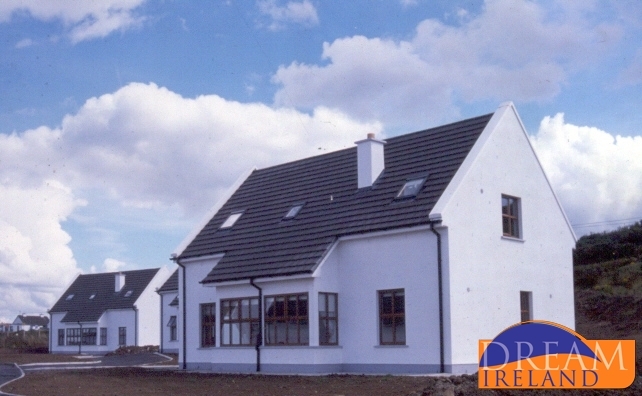 Doolin Holiday Homes is a development of just ten detached bright and modern cottages. Each of the Cottages has three bedrooms and can comfortably accommodate up to six people in a double bedroom downstairs and two twin bedrooms upstairs. All bedrooms are ensuite and there is also a guest toilet downstairs. The open plan living/ dining room is bright and airy and features a large window to allow in natural light. 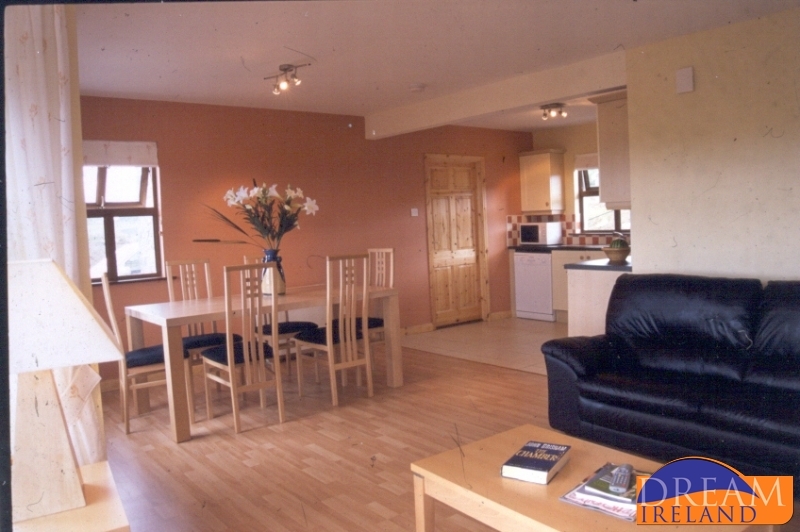 There is a comfortable suite of furniture, colour television and an electric fire. The kitchen is fully equipped with all modern conveniences including Microwave, Electric Oven, Washer/ Dryer and Dishwasher. Each of the houses has its own private parking and small garden. Electricity for heating, lighting and fuel is an extra charge of €5.00 per day in June, July, and August and €8 per day for the remaining months. The mouth of the River Shannon is home to Ireland’s only resident community of bottlenose dolphins numbering approximately 100 members. The estuary provides the dolphins with a rich source of food and a safe habitat for mothers and calves and is one of only six such breeding communities in Europe. The local dolphin watch tours boast a sighting rate of 98% during the months of May to August and operate from the towns of Kilrush and Carrigaholt. Doolin has its own excellent nine hole pitch ‘n putt course and Lahinch’s two golf Courses – the Old Course and the Castle Course are located just a 20 minute drive away. 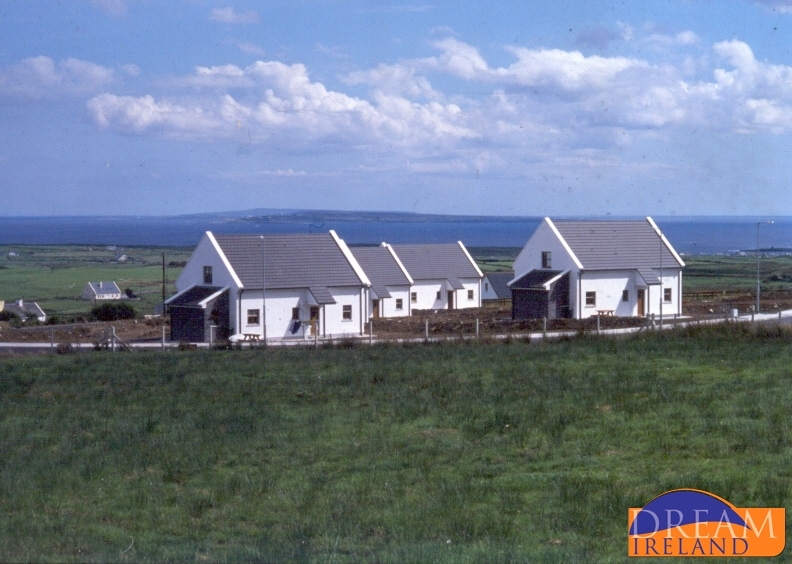 Doolin is centrally located on the Burren Way Walking Route which is a 26 mile (42 km) signposted walking trail from the town of Liscannor, along by the Cliffs of Moher, on to Doolin and into Ballyvaughan. The Doolin Cave System was first discovered in 1953 and is over 10.5 km in length incorporating many active underground rivers flowing through the limestone. Guided trips can be arranged locally. Doolin Cave will open Saturday the 21st February and will be open every sat thereafter from 11am to 4pm. This has become a very popular activity in Doolin and the area boasts some of the best diving on the West Coast of Ireland including a network of sub-marine caves off Doolin Point. Within a ten minute drive of Doolin are two fabulous golden sandy beaches – the mile long Lahinch beach with its lovely promenade is perfect for a stroll and Fanore Blue Flag Beach has some fantastic sand dunes and is a favourite spot for shore fishing. Seaworld offers a variety of facilities in two main sections namely the swimming complex and the Atlantic Aquarium. The swimming complex features a 25m deck level pool, kiddies pool, jacuzzi and sauna and the Aquarium features a fascinating array of marine specimens including a lobster breeding station and a blow-hole wave explosion. The northwestern corner of County Clare features The Burren - a rock garden of no ordinary proportions. The Burren extends over more than 100 square miles and most of it is bare, pale, grey limestone however it is interspersed with magnificent floral pockets and crevices with spectacular coastla borders. This truly is a unique place to visit while staying in Clare. Located 20 minutes drive from Doolin, Aillwee Cave is one of the west of Ireland’s top tourist attractions with its stalactites, stalagmites, relics of bears and Waterfall. Open daily from mid March – October. The Aran Islands are one of the last outposts of Gaelic civilisation. They are stunningly beautiful and feature ancient relics of prehistoric civilisations. Dalily boat trips operate from Doolin - which boasts the shortest ferry crossing - to all three of the Aran Islands. B: Take the shorter route via Lisdoonvarna. A: Turn left and stay on the N85 traveling to Lahinch. At Lahinch turn right onto the R478 and stay on this road passing through Liscannor and passing by the Cliffs of Moher. After about 2-3 miles you will come to a Gas Station. Turn left down the hill towards the sea. This will bring you into Doolin village. B: Drive straight through Ennistymon towards Lisdoonvarna on the N67. At the 2nd crossroads after the village of Kilshaney,turn left onto the R478. This road will bring you to Doolin and the Cliffs of Moher. After about 2-3 miles you will come to a cross roads and a Gas Station. Turn right down the hill towards the sea. This will bring you into Doolin village.